Holidays to Bel Ombre transfer you to Mauritius’ sun-drenched south coast, where you will be greeted by pristine golden beaches lapped by warm, turquoise waters. Lush, green jungle, stunning waterfalls and impressive gorges provide an exquisite backdrop to this exotic beach resort. Families and couples will enjoy spotting dolphins and hump back whales playing in the Indian Ocean, while adventurers may prefer kitesurfing along the coast or quad biking through the beautiful Frederica nature reserve. Spend your days in Bel Ombre on the sheltered powdery white sands soaking up the sun before heading to a beachfront bar or restaurant to sample the fresh catch of the day, lobster specials and Mauritian curry. 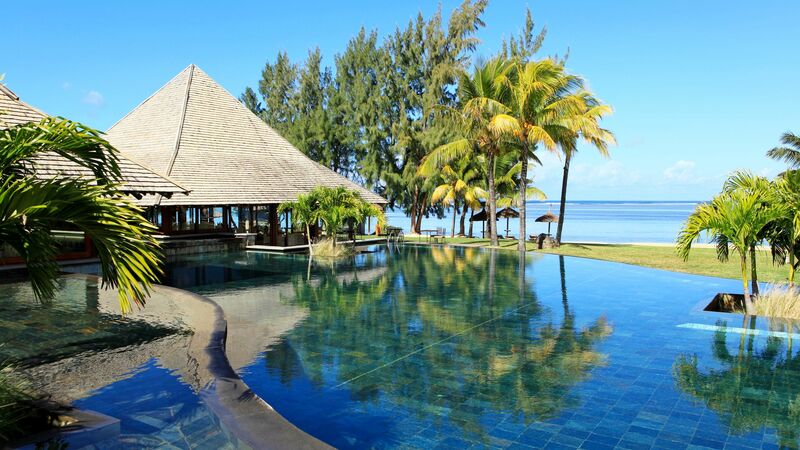 If you want to delve into Mauritian history, visit one of the amazing sugar plantations, while fairway fans may prefer to visit the Heritage Golf Club where an 18-hole championship course awaits nestled between the azure sea and the dramatic mountains. Luxury holidays in Bel Ombre also provide plenty of opportunities to get up close and personal with tropical Mauritian wildlife and nature. Explore the verdant natural habitat of Frederica Nature Reserve and witness wild deer and boar, before making a splash in the spectacular waterfalls and strolling through magnificent jungle. Bel Ombre is also a superb base for visiting Mauritius’ other headline attractions, including the Seven Coloured Earth and Black River Gorges National Park. Choose Sovereign for your luxury holiday to Bel Ombre and our Trusted Advisers will provide helpful and honest advice to find your perfect holiday. We will tailor make a holiday to suit your desires. For a deluxe holiday hideaway with direct beach access, an 18 hole golf course and rejuvenating spa, sample the delights of the Heritage Awali Golf and Spa Resort, while the Heritage Le Telfair Golf and Wellness Resort offers luxury family-friendly accommodation and facilities on a former sugar estate. Frederica Nature Reserve sits just behind Helitage Le Telfair and Heritage Awali hotels. Explore the wild landscape, waterfalls and banana plantations on foot, by bike or on a 4x4 safari. Flight time from the UK to Mauritius is 11 hours 50 minutes. Transfer time from Mauritius airport to Belle Ombre is approximately 45 minutes. Mauritius is a year-round destination, with summer and winter months offering something different. The summer months, from October through to April, are perfect for beach lovers - days are long and temperatures are in the high 20s. There is the odd chance of a cyclone in the south of the island, though. The winter months (during the UK summer) are a little cooler, in the early 20s, so are ideal for hiking and exploring. If you’re planning on diving, the summer months are your best bet – the waters are warmer and (usually) calmer, and there’s more sea life around. Visas are not required for Mauritius. You will receive a stamp in your passport valid for 60 days. Tipping in Mauritius is appreciated, but not expected. In restaurants you can leave the small change or round the bill up if you received excellent service. Ensure you give your tip directly to the person whom you wish to receive it. The official language of Mauritius is English.